Group News Blog: Cover Your Mouth and Nose! Cover Your Mouth and Nose! Did you know that Sneezes travel far and fast. About 100 miles per hour and can transport your germs more than 150 ft. In this time of cold, flu etc. be caring of those around you, your family and friends, and even all those strangers. 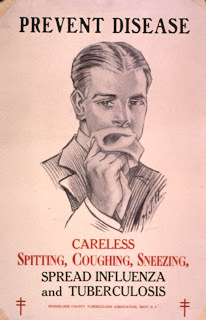 If you have to cough and sneeze- cover it!